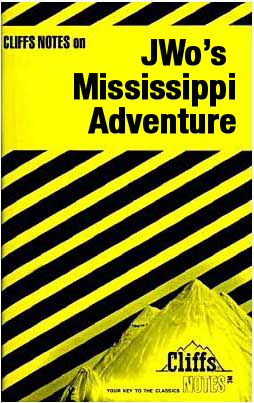 Since I’m so behind on writing my Thanksgiving trip to Mississippi I’ve decided to go all Cliffs Notes on the rest of it. For the younger crowd, back before the Interwebs, there was something called Cliffs Notes that students used to “assist” them with reading projects. However, in this instance my dear friend Cliffs made an exception to where his Notes for JWo’s Mississippi Adventure ARE the substitute for the reading. My hometown of Tupelo has a lot of interesting facts. Elvis Presley was born there, it’s the largest city in the county and the seventh largest in the state, it has Buffalo Park and Zoo (never been to but driven by), it is the headquarters for the Natchez Trace, and home of my sisters’s bakery, Sweet Treats. But the one thing I always check to see is in town when we are down there is the Tupelo Flea Market. We were in luck because the Flea Market was in town. I’ve been shopping enough with Tammy to know that I didn’t need (or want) to be with her the entire time at the flea market. She shops like a woman, nearly coming to a complete stop at every booth before realizing there is nothing there she wants. I told my Dad that it’d prolly take Tammy four hours to walk the entire thing and made plans to meet him for breakfast while Tammy and Mom hit the market at 9 am on Black Friday. Around 10:45 I texted Tammy to let her know I was headed that way. I shouldn’t have been surprised by her response. Tammy: Ok… we’re in the 3rd row… 1st building. I just shook my head because at that rate my 4-hour estimate was going to be low, very low. For those that don’t know the Tupelo Flea Market is in two buildings that cover close to 500,000 square feet. I found them and said I was going back to start at the beginning. About eight minutes later I passed them in the middle of the 4th row. I finished my initial pass of Building I and looped back to find them. When I did, Mom said she was going to head home which meant I was now stuck shopping with Tammy. We had wandered through the rest of Building I and Building II when I told Tammy we needed to head back so we could get ready to go to my grandmother’s house for dinner. I could see the panic in her eyes when she realized she may not have time to go back to the spots she wanted so I told her we could come back Saturday morning. She pulled out a piece of paper and a pen from her purse then looked at me. Tammy: Stay here and give me five minutes. Haven’t fallen over since I started wearing one. I stopped to buy Daniel some Magic Bracelets because I knew the last one he had split and spilled out all of the magic goo. He couldn’t believe how cheap they were so I told him I’d pick him up a few. I picked through the box and found him a few different colors (so he can color coordinate). After I paid I started looking around for Tammy but spotting a 5-foot tall blonde-ette wasn’t very easy so I waited for her to come back. When she came back she was breathing heavily and looked a little disheveled. The piece of paper she had in her hand had a lot more writing on it now than when she left. Tammy: I was writing down the aisle numbers I want to hit when we come back. Me: That looks like a lot of aisles. Tammy: It’s not that bad. That’s when I realized that our Friday’s 4-hour trip was just a reconnaissance mission. The last I knew we were sposed to be at my grandmother’s at 4 on Friday. But when I pulled in at 3:50 and noticed the only car there was hers I thought something was up. Granny informed me that she was told dinner wasn’t until 5 (news to me) so we sat around and talked. 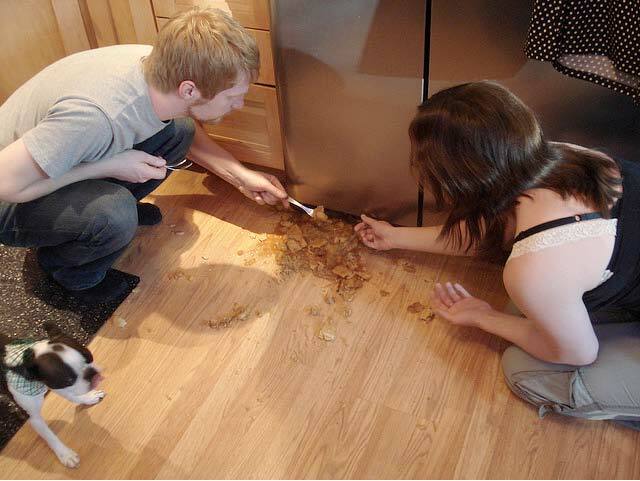 Granny went the kitchen to start getting stuff ready when we heard what sounded like something hitting the floor. We ran around the corner and saw Granny shaking her head with a lemon icebox pie at her feet. Me: Scoop it up. I’ll still eat it. Me: I’m not kidding Granny. Just scoop it up. Much to Granny’s dismay, I started scrapping it back into the pan so I tried to cheer her up. Me: Granny, I don’t have a problem eating it because your floor is 1,000 times cleaner than our floor. I don’t even see any stuff on it after I’ve picked it up. Me: Yeah, don’t tell anybody. If they say anything about it being gritty we’ll just tell them it’s extra luvin’. We didn’t tell anyone and it got eaten without any problems. I had printed out all of my blog posts and put them in a binder for Granny since she doesn’t have the Interwebs at her house. I noticed she was reading some of them as we were talking and was glad when I said we might come back on Saturday. Granny: If you do come back on Saturday will you bring the binder? I want to read some more of them. Me: Those are for you Granny. I’m leaving it with you. Granny: Oh good. I was trying to read as fast as I could but knew there was no way I could get through them all with everyone here. There was other stuff that went on during Friday Family Fest, but at the advice of my attorney I’ve decided not to go into it. All I’ll I say is The Jerry Springer Show (or WWE) may be contacting us soon to appear on an upcoming episode. Saturday morning Tammy and I hit the flea market again. You're giving me that treat right? You know it’s bad when one of the vendors recognized us from the 17+ times we passed his booth. 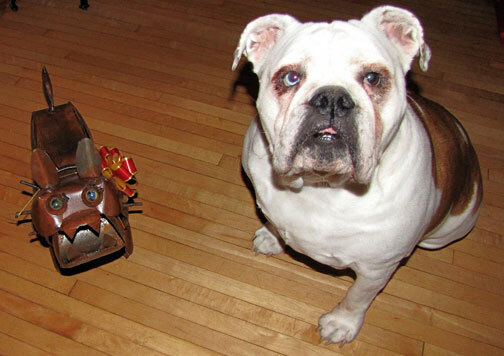 We stopped by Saturday to pick up our new little bulldog, who I affectionately named Rusty. I can’t say that Savannah was thrilled by having a little brother, but I can’t say she wasn’t. She’s been kinda indifferent toward Rusty. After the flea market we headed up to visit my grandmothers again. We had lunch with the one I hadn’t seen yet then headed up to see the other one. 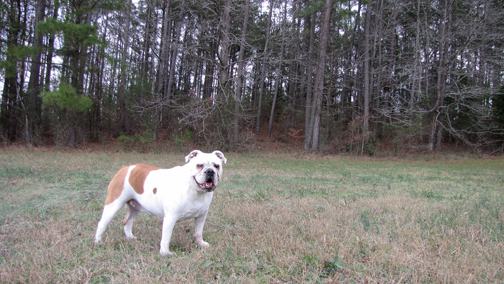 She wasn’t at the house but we spotted her in a pasture where she was picking pecans. Tammy had never picked pecans and was full of questions which Granny was more than happy to answer. 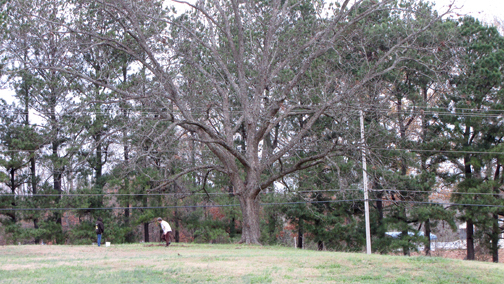 I left them to picking and took Savannah for a walk toward the woods that I used to play in growing up. Tammy (R) and Granny (L) picking pecans. I think I heard something... Did you take it? It didn’t take long for Savannah to get winded so we headed back down to where Granny and Tammy were. Tammy was enjoying her time so much that she said she wanted to remember it forever. Tammy: I love this tree. I want to be buried under it. We filled a 2-gallon bucket full and headed back where Tammy’s pecan education continued on the front steps of Granny’s house. Tammy: How do you open them? Do you use an opener? Granny: (laughing) I don’t think I’ve ever heard anyone say it like that. Granny showed Tammy how to use her pecan cracker then handed it over to her. Tammy hard at work. 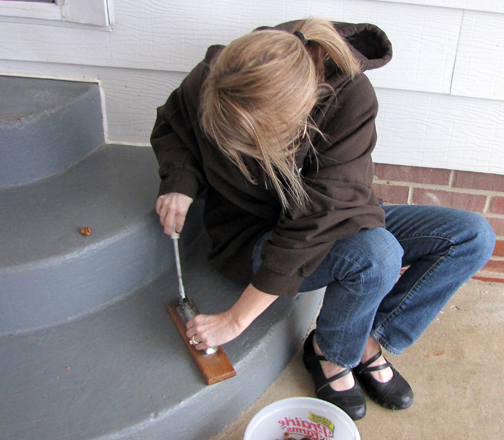 Notice her “perfect” pecan on the step. Over the next 10+ minutes Tammy learned from trial and error, with a little guidance from Granny, about how to properly crack a pecan to get the pieces out in halves. Tammy was so proud when she was able to get complete halves out of the shells. She even began a little collection of “perfect prized pecans” that she kept on the steps. Granny bagged up Tammy’s prized possessions and gave us a plastic bag full of pecans to bring home. Tammy: I think I could do that all day. It was so peaceful and relaxing. I wonder if I can get a job as a pecan picker. Musta been listening to the Ole Miss-State game. We headed back to Tupelo where we were hoping to watch the Ole Miss-Mississippi State game on TV. Unfortunately Mom didn’t get ESPNU so we had to resort to listening to the game on the radio. While we were listening to the game, both my Mom and step-dad kept dozing off in the living room. I shouldn’t say that, they flat out fell asleep and were seemingly trying to out-snore each other. Oh and for those interested, Mississippi State won 31-3, their 3rd straight win in the Egg Bowl. Sunday morning we said our goodbyes and headed to visit our friends Daniel and Dana in Arkansas. Since we weren’t in a hurry I took the back way Daniel had suggested. He had warned me about a little place in the Mississippi delta called Jonestown, saying not to stop there. I didn’t give it much thought until we went through it. I couldn’t believe towns like that still existed in America which got Tammy’s brain churning. Tammy: How do you get out of a place like that if you are born into it? Tammy: I wish I had the camera out cause I woulda taken pictures. Me: Are you crazy? I don’t think that would have been a good idea. They prolly wouldn’t have liked seeing a couple driving through in a BMW taking pictures. Tammy: Oh yeah… You’re prolly right. During one of our gas stops in Arkansas, I was walking around the store while Tammy was in the bathroom. A lady was standing at a coffee dispenser in one section and I couldn’t get around her so I went in another direction. I came back a few seconds later and she was still at the coffee machine so instead of just roaming I decided to wait for Tammy. That’s when I heard the lady ask me a question. Random Lady: Can I help you sir? Me: (surprised) Oh, no. I’m just waiting for my wife. I thought how nice of an employee she was, asking if I needed help because we don’t get that a lot up North. Then I saw her walk up the counter, pay for her coffee and leave. Apparently I was too close for her comfort. Speaking of too close for comfort, when we got in the car Tammy said the bathroom stall was so small that her knees hit the door. Tammy: And you know how small I am, imagine if there was a full-sized person in there. Tammy was getting sleepy and started to get a little cranky because she knew she wouldn’t be able to take a nap. Tammy: Plus I know they got me wine and, well, I don’t drink wine on Sundays. Me: What do you usually drink on Sunday? Tammy: (after a few seconds of contemplation) Water. There were rice fields on either side of the road and then we’d see thousands, and I’m not exaggerating, of ducks sitting in fields. It’s that what I think it is? We knew it was hunting season, and even saw a few hunters walking around, so when ducks were flying by we’d watch to see if any fell from the sky. None did. We were passing one of the fields when Tammy recognized something she saw. Tammy: Hey, that’s a hunting house over there. Because I heard the “t” sound I thought she had seen a haunted house but when I looked out the window I realized what was she talking about. 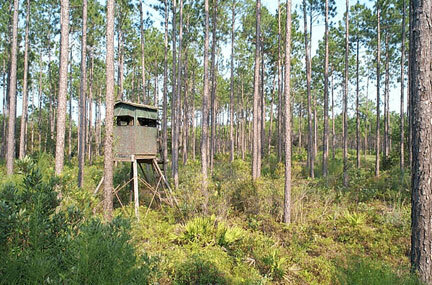 Her “hunting house” (with a very pronounced “t”) was actually a deer stand. That was just the beginning of Tammy’s acclimation to southern Arkansas. As we neared Little Rock Tammy saw a billboard and wasn’t sure what it meant. Tammy: That sign just said, “Go Hogs Go” is that for hog racing? I looked over at her to see if she was serious. When I realized she was I fought back the laughter than was trying to work itself out. Me: Ummm, no. 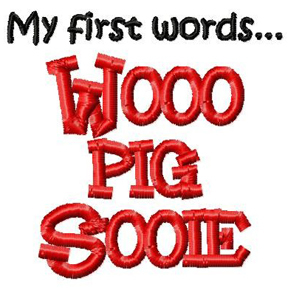 That’s for the University of Arkansas, the Razorbacks. Tammy: Oh yeah… That makes more sense. As we got closer to Daniel’s house we started noticing there was a large amount of buffet-style restaurants which was upsetting to Tammy. Tammy: We can’t move here because we’d get fat. Someday I’ll partake of your buffet goodness. Of course there were the typical Chinese buffets and there was also a Cajun buffet place that looked good. But there was one that stood out from all the rest. 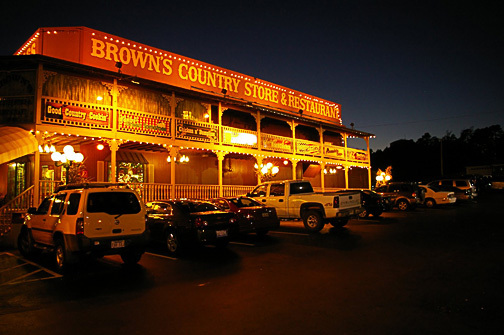 Brown’s Country Store & Restaurant boasted of a 100 foot, all you can eat buffet that had my brain drooling. Me: 100 feet. That’s 33.33 yards of buffet goodness. Tammy: I wonder what’s on it. Me: Who cares? With 100 feet you’ll find something to eat. Is This the Holy Land? As we were flipping through the radio we heard someone say there were over 300,000 churches in America, a number Tammy disputed. Tammy: There’s no way that’s right. That’s way too low. We prolly passed 100 since we left this morning. That started a counting game for her where she’d shout out her running total each time we passed a church. Tammy: Was that 112 or 113? Me: I dunno. Go with 113. Since you weren’t very scientific in counting the first 100, what’s adding one more. She didn’t find the humor in that but kept counting anyway. The fact that she had counted over 30 in such a short amount of time only proved her theory. Tammy: I’m already over 30. 300,000… pshhh… There’s WAY more than that. We found our way to Daniel’s house and unpacked for the night. I noticed that Savannah was keeping at my feet and looking up at me a lot. I thought was odd because there were two other dogs for her to play with but figured she was just nervous and didn’t want me to leave her there. Turns out that Savannah felt bad that she hadn’t given Elvis and Daisy gifts like we did Daniel and Dana. Dana was giving us a tour of the house when Tammy stumbled on Savannah’s gift. Tammy: Ummm, I hope this wasn’t from our dog. Apparently Savannah was under my feet because she needed to go outside. When I didn’t recognize her signals she decided to decode them for me. Her present was in the hallway, but Savannah was under the kitchen table. Dana had made a pecan pie for us and was jealous when we told her about Tammy’s pecan picking experience. Dana: Pecans are so expensive right now. I paid $10.99 for maybe a 1/3 of a cup. Me: Really? We’ve got a plastic bag full of them in the car. Tammy didn’t even want them. Dana: I’ll take them then. I was worried that she was going sneak out to the car and swipe some during the night, but from what I can tell all of the pecans were accounted for. We all enjoyed Dana’s pie after we finished Chef Daniel’s giant turkey burgers for dinner. The rest of the night was spent catching up with old friends, while watching NFL games, enjoying the warmth of the fire and ice-cold beer. 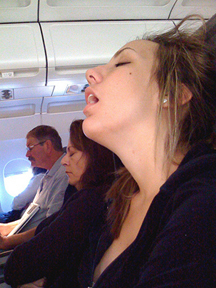 Gallery | This entry was posted in 2011, Daily Life, Travel Logs and tagged daily life, humor, postaweek2011, Travel Logs. Bookmark the permalink. The magic is back! My health has been restored, so we can do the 100′ buffet line next time.